We love meeting up with plus size fashion bloggers from all over the world, and today’s spotlight brings a unique perspective. 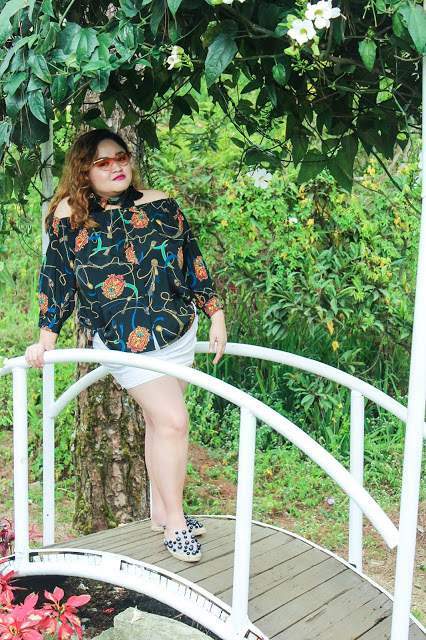 At five feet tall, this Philippina shares the challenges of finding great plus size fashion and hopes to inspire others with her creativity and perspective. Meet Loiselle of Curvy Statements! We hope you enjoyed meeting up with our fabulous TCF contributor, Aaronica of The Crunchy Mommy and The Needle & The Belle. 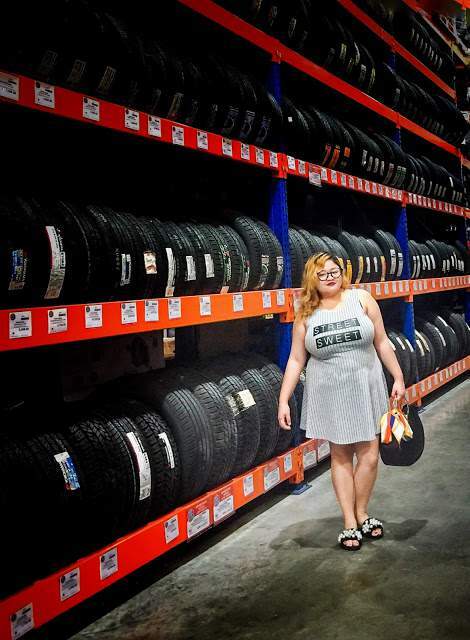 This week, we head to the Philippines to meet up with Loiselle of Curvy Statements. Like Aaronica, Loiselle makes a lot of her own clothes. 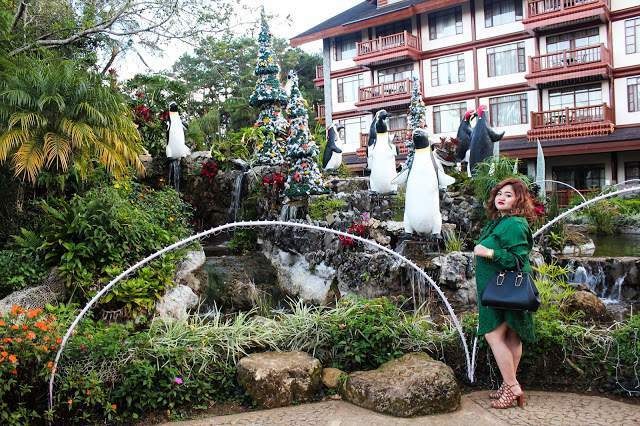 As a petite plus size woman living in the Philippines, a scarcity of options has fueled her creativity, and Loiselle re-purposes, decorates, and makes her pieces truly her own through her handiwork. She even makes jewelry! Through her blog, Loiselle shares her personal style and works to change standards and perceptions about appearance in the Philippines and worldwide. 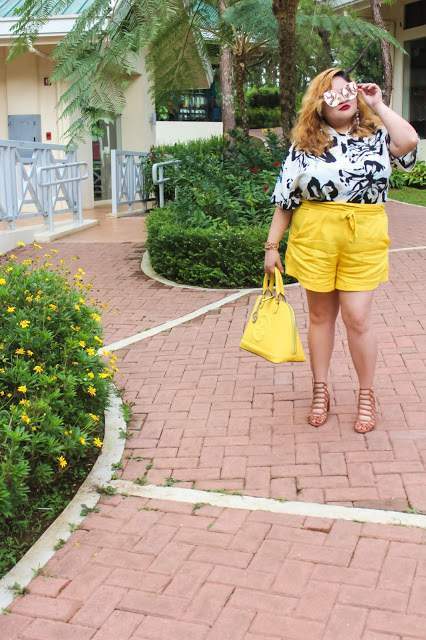 She is a plus size blogger YOU NEED TO KNOW!! Meet Loiselle of Curvy Statements!!! My experiences and ambition to work on my own brand someday and my advocacy in uplifting and every plus size woman is my inspiration in blogging. 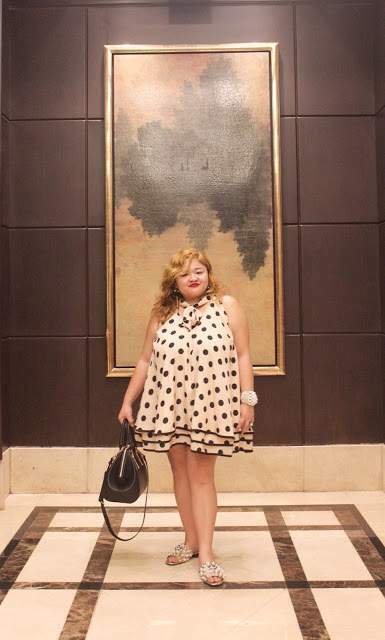 We have limited fashion choices here in the Philippines, and I’d like to do away with fashion that covers/hides my body just because I belong to the plus size. I have always believed that we should be free in expressing ourselves even if we are bigger than regular women. I wanted to awaken the inner goddess of plus size women and make them realize that they deserve to be happy and comfortable with their size. That is why I sometimes make my own dresses and accessories to show them that we can redefine beauty together. I started blogging in 2012 as Fatfashionologhist on blogspot and Tumblr until I turned it into Curvy Statements. It is more than just fashion. It includes plus size issues, creativity, my dreams and aspirations in life. What are the challenges, if any, you face regarding being petite and plus size? Since I’m 5’0″, plus size dresses are usually too long for my height. I am made fun because of my bust since I’m petite and I’m a D cup. It is really challenging when I’m wearing shirts since I have to use men’s sizes, and it’s unflattering. What’s your favorite thing about being petite and plus size? My favorite thing in being petite is that a lot of dresses and designs can still fit me and still be flattering. Being able to inspire the younger generation of plus size women. It’s like my advocacy is helping in uplifting and empowering them. I wouldn’t like them to experience what I have and seeing them fight for their rights and happiness is everything to me. I would like to inspire them for the rest of my life. Christian Siriano, Lane Bryant, Bloomingdales, H & M, Marks & Spencer, Stradivarius, Mango, Krikor Jabotian, Ashi Studios, and Zara. Modern day plus size pin-up girl. Summer chic, regal and romantic dresser. Lu zieht an, Blaire Eadiebie, Troy Solomon. The plus size fashion now is more fierce, experimental and filled with wide and various choices from different styles. It already keeps at par with regular size fashion. Before, it was just limited to big jeans and shirts. Plus size bloggers are unhealthy and justifying reasons to be fat. Nice plus size fashion is all about big loose clothes that covers your whole body/ body parts that are big. In addition to my blog page, I also have an Instagram account. Curvy.confident.chic means being yourself and not being afraid to express one’s self and uplifting curvy women like me. Encouraging them to unleash the creativity inside them through their talents , dressing up, and expressing ideas. Check out Loiselle’s blog at Curvy Statements.blogspot.com!!! What do you think of her style and her thoughts? Is her blog one you read? Let’s discuss! Are you a blogger? Want to be featured?Make sure you fill out your deets here, so that we can feature you! Looking for more style inspiration? Check out all of the plus size blogger spotlights here!